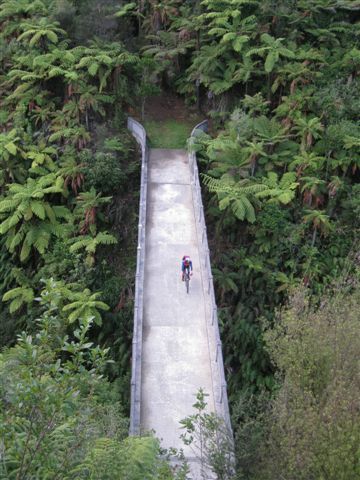 If you only have the chance to do one adventure ride this year, this is the North Island’s best. This trip has been developed and packaged by Bridge to Nowhere with track information provided by the Kennett Brothers..
8.00 am. From Raetihi Holiday Park cycle 40km down a back country road to the start of the track. The first half to Ruatiti Domain is mostly downhill-fast fun on a sealed road. Then the road narrows and breaks into gravel. Allow yourself 1.5 – 2 hours to reach the signpost start of “Mangapurua Road”. Alternatively for a shorter ride, Bridge to Nowhere Tours can drop you and your bike off at the start of the Track. 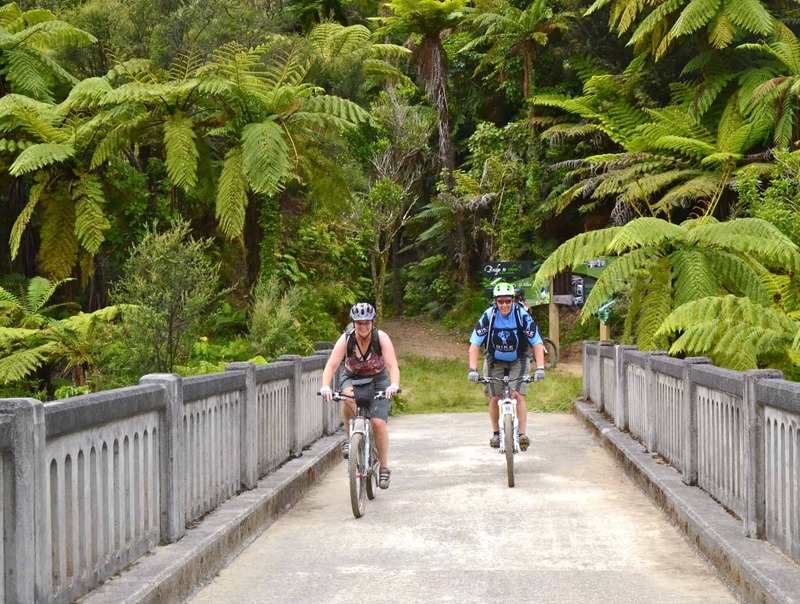 All going well, it should take you about 3 – 5 hours to ride the next 38km along the Mangapurua Track to the Bridge to Nowhere. From the start of the track head left through a gate and cruise up a well graded 4 km climb. Look over your shoulder at the second gate – the views are stunning on a clear day! This is the one big climb of the day but it’s a piece of cake really. After an hour you will reach a letterbox and see a “National Park” sign ahead. The track is a paper road so it’s OK to continue riding. About 2km from the letterbox, you will reach a Y-intersection and must go left. 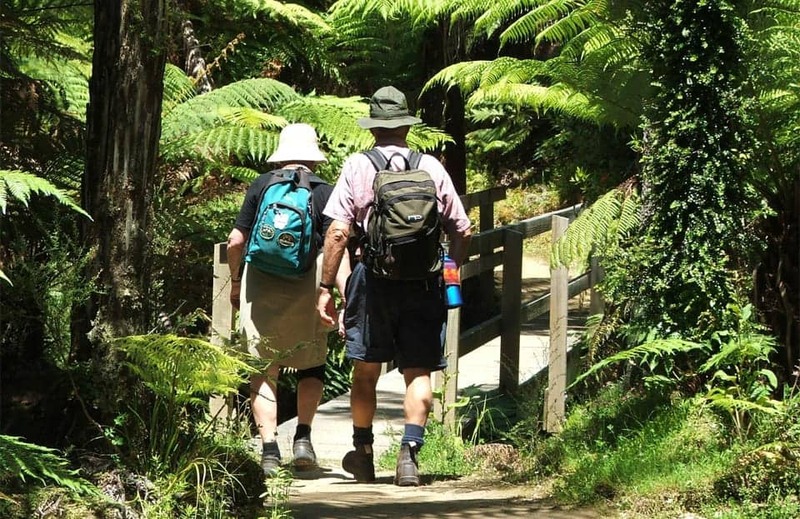 Continue rolling along the ridge and you’ll soon reach a sign posted walking track on your left that goes up to the Mangapurua Trig. Prepare for the technical downhill into the valley. Make sure you veer right at the “Stafford” sign. Half an hour after that sign you will reach a large clearing in the valley that is a good place for a rest and regroup. From this point on it is all basically flat riding to the river. You will pass sites of abandoned farms that are signposted with the names of the original settlers. These names also serve as an indication of where you are on the track map we supply you, and how far you have to ride! The Bridge itself quite aptly appears out of nowhere. There is a lookout track 100 metres on from the bridge and then toilets a few hundred metres further on. 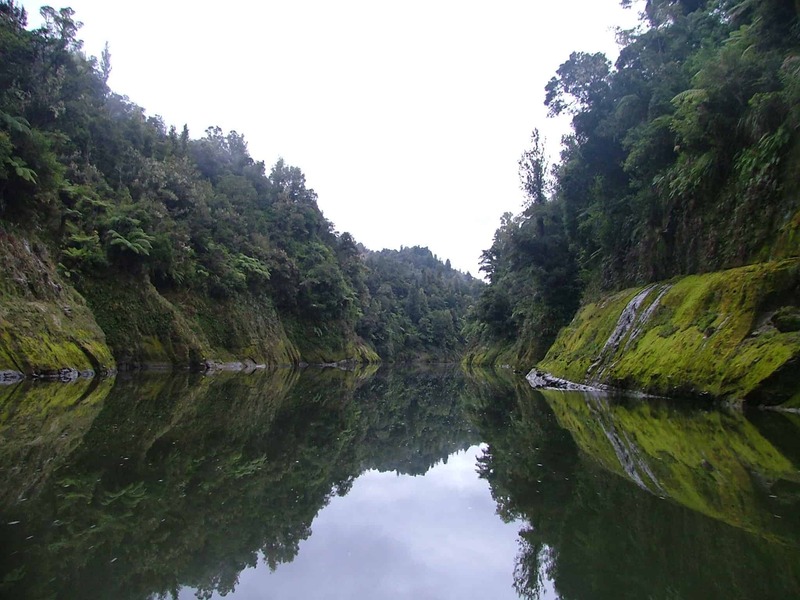 The ride down to the Mangapurua Landing and the Whanganui River takes about 15 minutes. 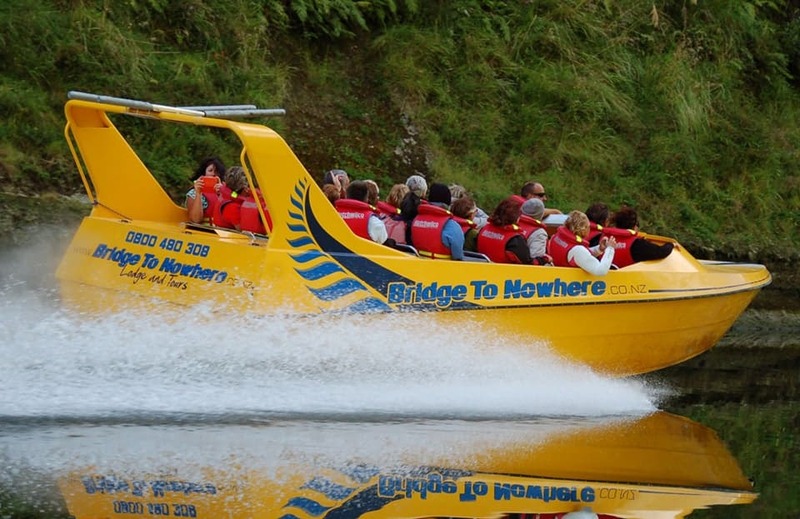 From the Mangapurua Landing catch the Bridge to Nowhere jet boat. You and your bikes will be transported down to the Bridge to Nowhere Lodge where you can take a well deserved hot shower, followed by a hearty meal. 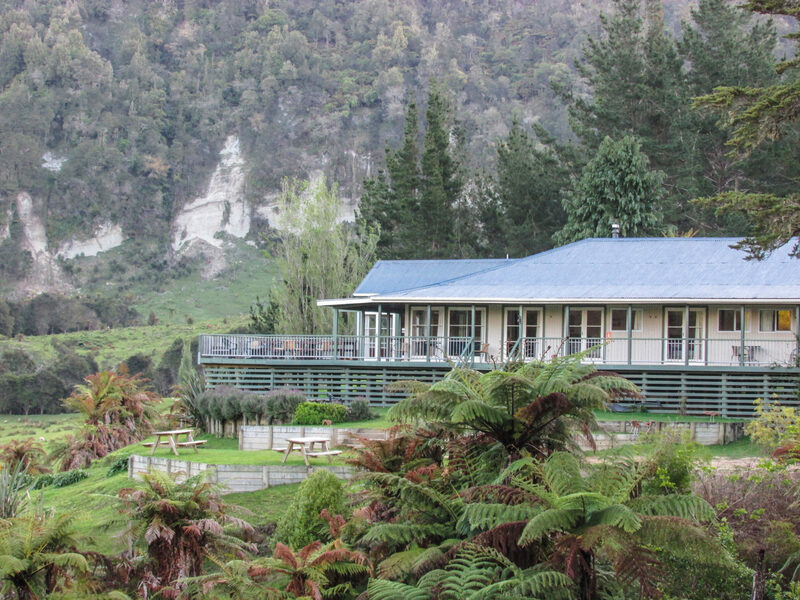 This is the only accommodation of its kind inside the Whanganui River National Park and is a licensed, privately owned operation. 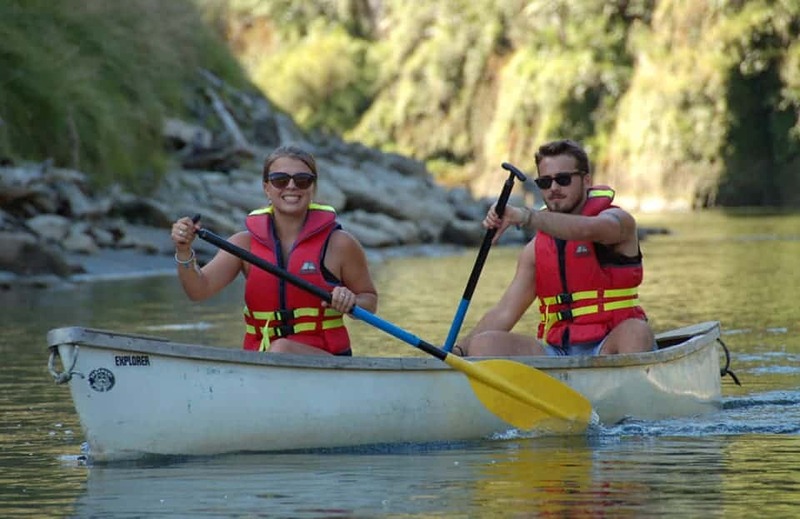 The next morning you can choose to jet boat back to Pipiriki or paddle down the river in a canoe. 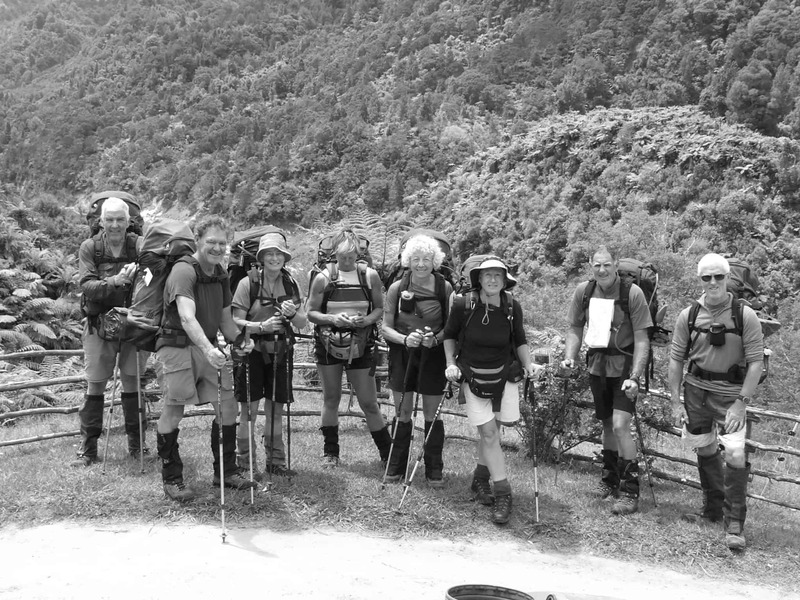 The later takes about 3 – 4 hours from the Lodge depending on how you decide to pace your journey and is classed as easy. Which ever option you choose your bikes are jet boated out. If there is one trip you should do, then this is it! 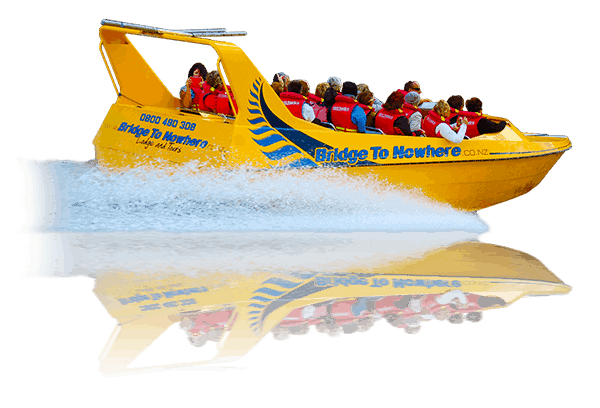 The Bridge to Nowhere tour operators are a family run operation offering you and your group a friendly relaxed trip. We’ve developed a two day package so that all your transportation and accommodation needs are looked after. Alternatively we are able to offer you a transport only option for those wanting to complete the adventure as a day-trip. 1 x full dinner/bed and breakfast/accommodation at Bridge to Nowhere Lodge. Jet boat transfers from Mangapurua/Bridge to Nowhere River landing down to Bridge to Nowhere Lodge and to Pipiriki the following day. Transportation of bikes to Pipiriki. Transportation of overnight bag to Bridge to Nowhere Lodge. 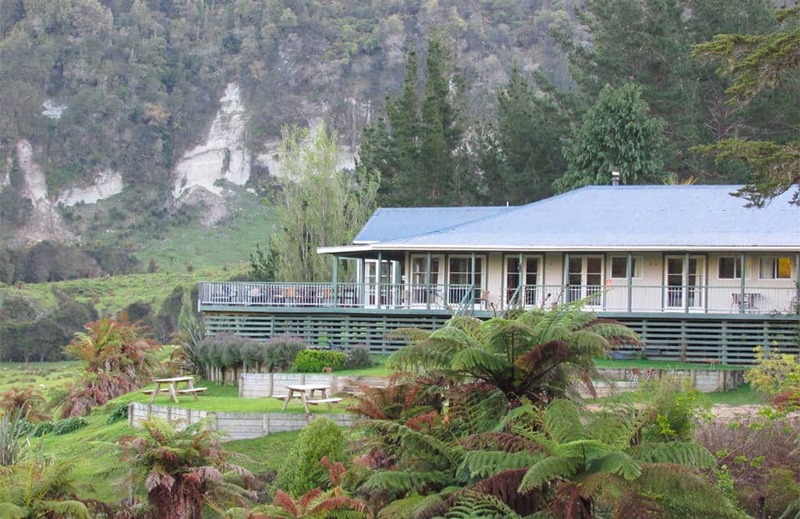 1 x night cabin accommodation at Raetihi Holiday Park. 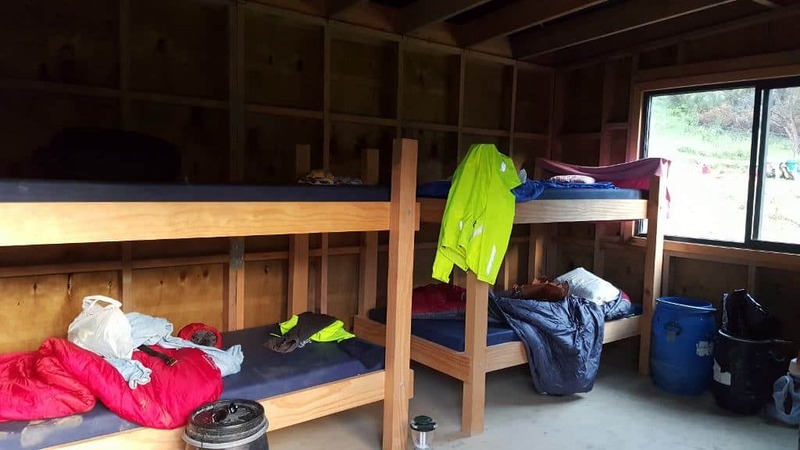 Bedding for cabin at Raetihi Holiday Park $5.00 per person. 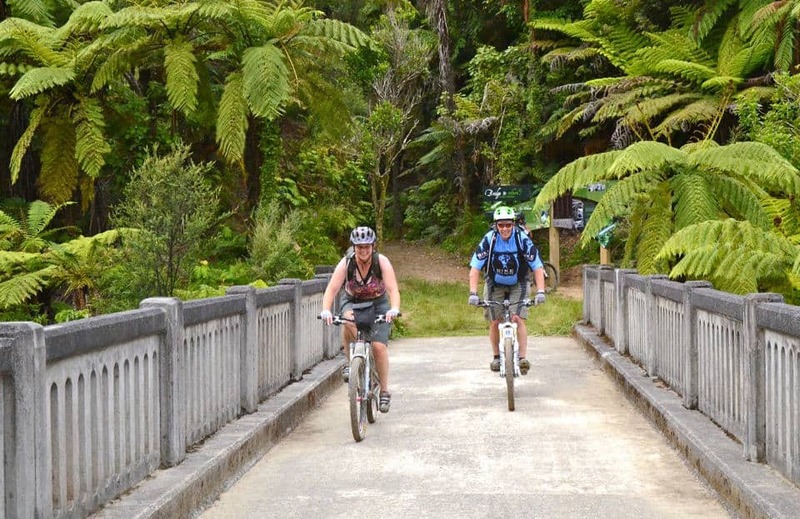 Transfer from Raetihi Holiday Park to start of track $35.00 per person. 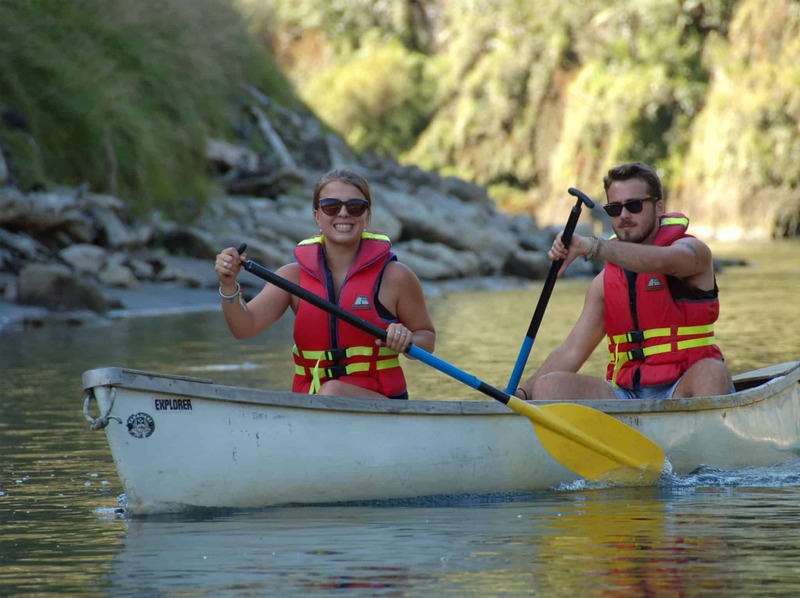 Canoe hire from Bridge to Nowhere Lodge to Pipiriki $50.00 person. 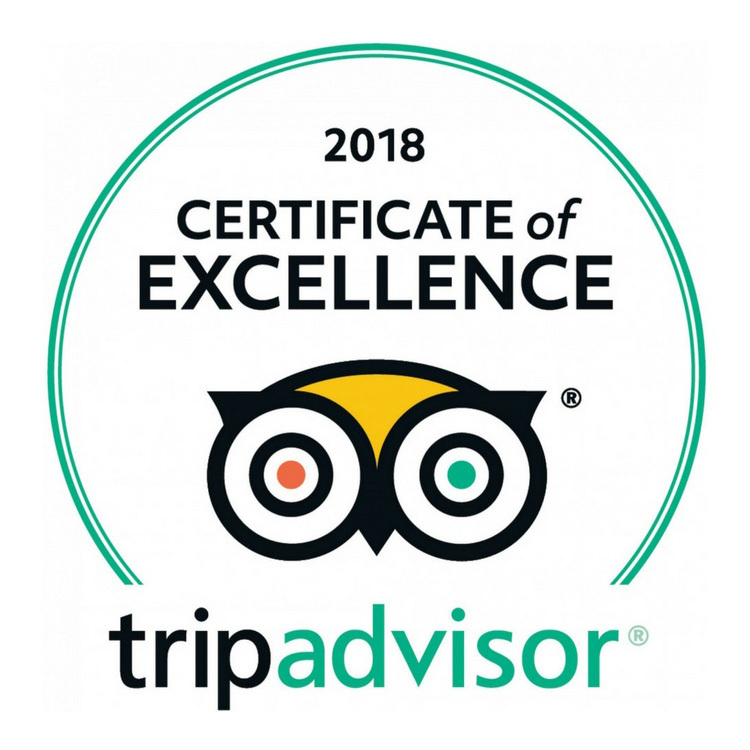 Transport only – for one day trippers $135.00 per person. Minimum numbers apply. Call us for details. 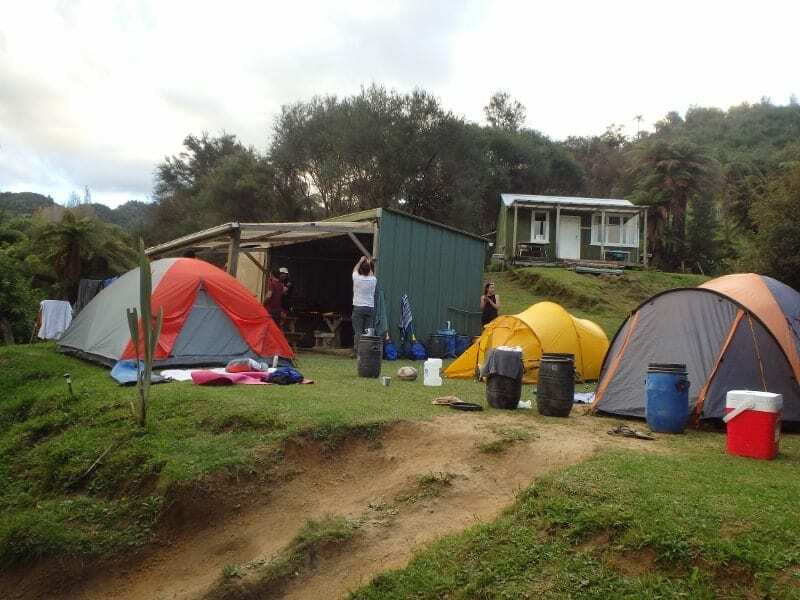 Pick up from accommodation in Ohakune, Raetihi, and National Park to the start of the track. 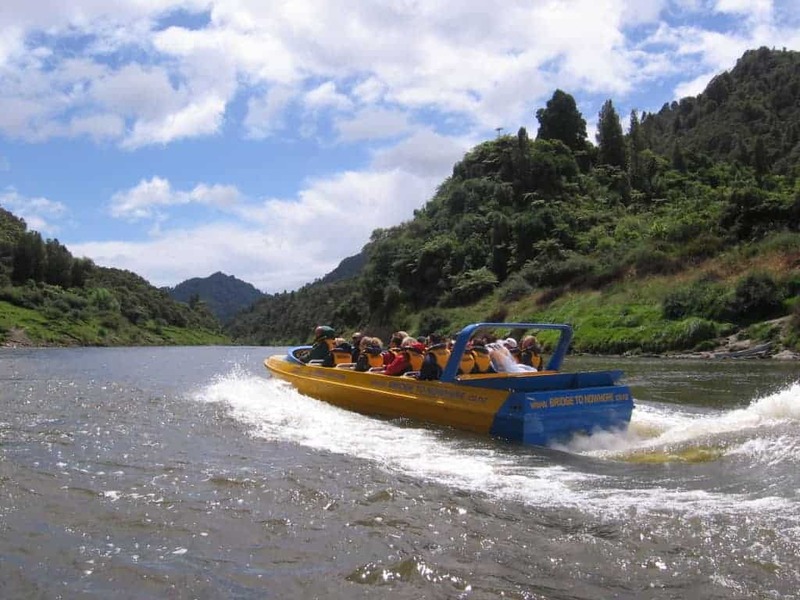 Jet boat transfers from Mangapurua/Bridge to Nowhere River landing down to Bridge to Nowhere Lodge and to Pipiriki. Transfer from Pipiriki back to accommodation.